Ch. 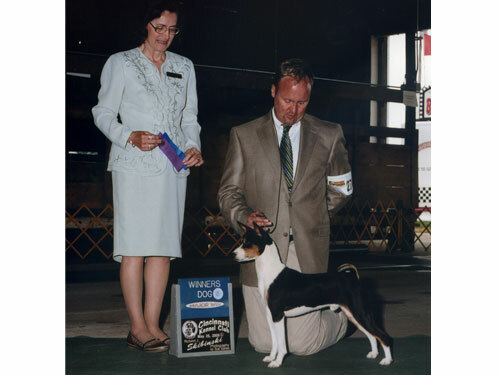 Meisterhaus Samburu Extra Extra "Ezra"
Ezra’s show career was brief, just like his sire and dam. 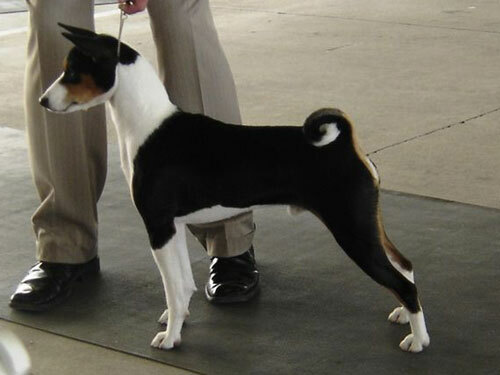 His pedigree and fabulous temperament has so much to offer our breeding program and the Basenji breed as a whole. 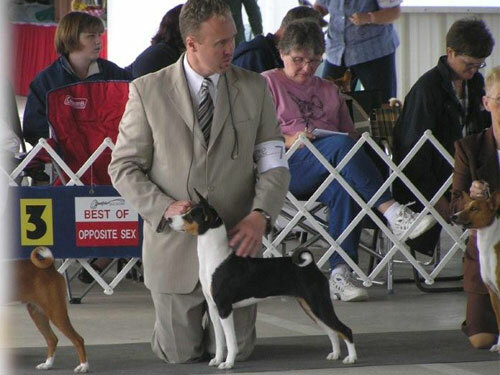 We are excited about his future as a sire of a planned upcoming litter. Ezra is retired and living the good life with his buddy / housemate Sketch and our dear friends Bob and Faye Carr. 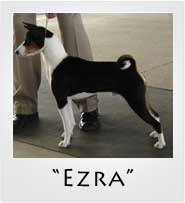 Ezra’s pedigree has so much to offer and we are excited about having pups by him in the future.